An important part of EEDS’ mission is engaging community members of all ages and introducing samba to new audiences. 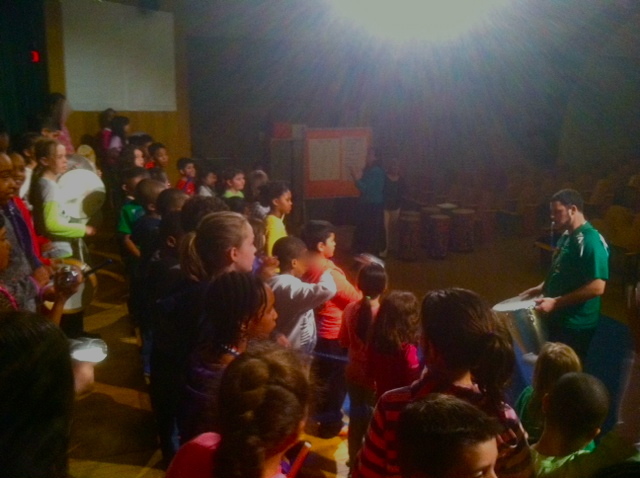 Following this mission, on April 14, Zach conducted a percussion workshop at Dawes Elementary School in Evanston. 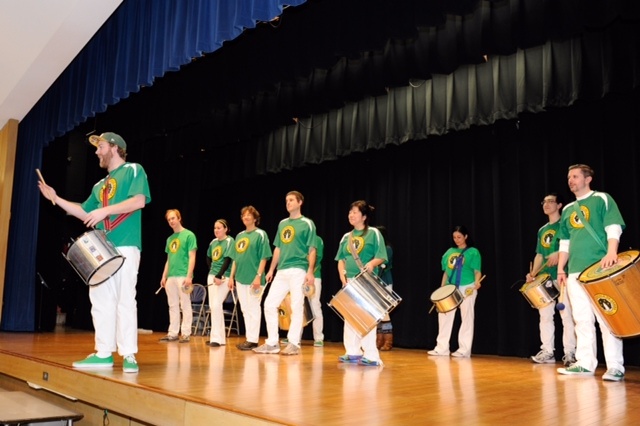 Dawes 4th and 5th graders are currently learning about Brazilian music in their classes in preparation for our spring concert “The Dancing Turtle – a Brazilian Folktale.” The kids will be performing dances, songs, and percussion pieces either from Brazil or inspired by Brazilian music. Zach taught the students both samba-reggae and samba batucada patterns in this workshop. It was many students’ first time ever playing Brazilian music and they loved it! Maybe we have a few new EEDS members in our future!